During the recent Summer Semester Professor Ineke Hans ran an intense glass project with her students. Based on their first discoveries – glass blowing introductions and visits to a.o.galleries and glass department of V&A London – her students started on their own projects and had a joint glass blowing workshop with students from HBK-Saarbrücken at Centre International d’Art Verrier in Meisenthal, France. For a week the students from both design courses realised several glass projects that celebrate: that evoke happiness, that jubilate, that commemorate special moments, honour peculiar uses, specific functions, or just revel the material or the experiment. In a second project the Berlin students worked with borosilicate and set upinteresting cooperations with the technicians of the TU glass-labs to realize innovative projects from this differenttype of heat-resistant technical glass. Both UdK glass projects were shown in designtransfer early this summer, but from 25 till 29 October the Meisenthal projects from both UdK- Berlin and HBK-Saar are invited to be presented at international design festival DESIGNBLOK in Prague. 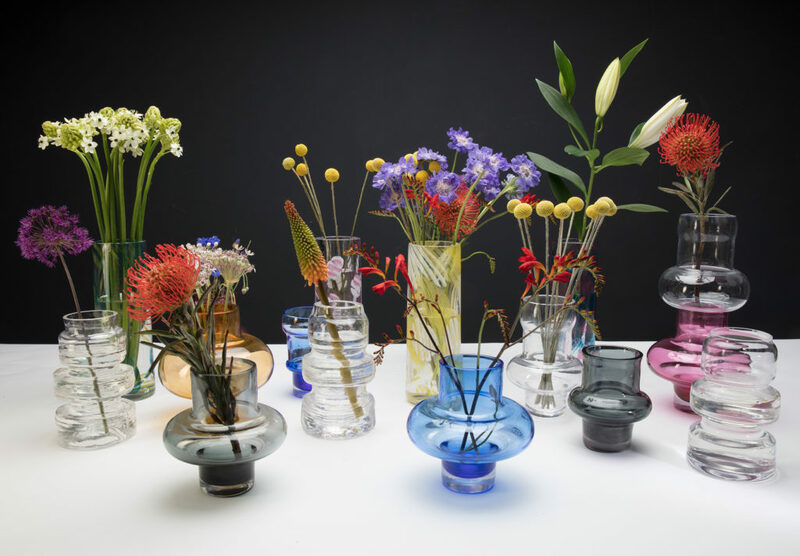 This year Designblok celebrates its 20th anniversary and that fact formed the roots for the theme Celebrating Glass. During their stay in Prague the Berlin and Saarbrücken students will visit the glass-master department of Prague’s Art Academy UPRUM where students and profs will share talks and experiences concerning glass and design.